Looking for very affordable flights? 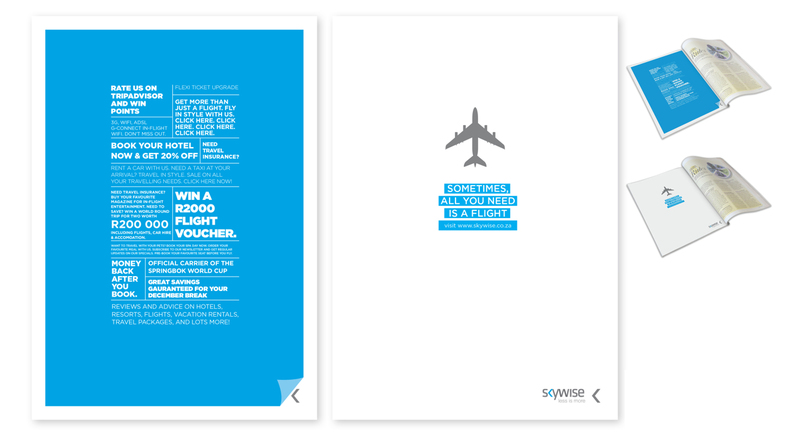 Then email us a review of your Skywise flight and we'll send you some unique SouthAfrica.TO travel vouchers! Keep up to date with the latest Skywise flight specials. UPDATE: The airline is not currently operational. On the 16th of December 2015 they announced the suspension of all operations until further notice. They have since issued staff with retrenchment letters. Skywise is hoping that new investors will provide a much-needed cash injection to allow the airline to return to the skies. In the latest issue of the ETNW (8 June 2016) they announced plans to relaunch operations in the first week of October 2016, under the same name. They believe their customers are loyal and that little needs to be done to restore their faith in the airline. Transactions with two local investors will likely be finalised at the end of July. 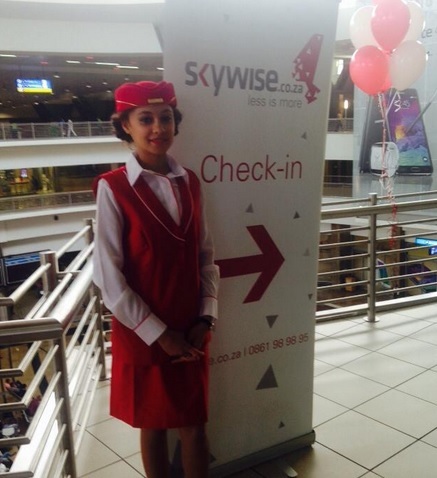 Skywise Airline's first scheduled flight from OR Tambo to Cape Town International took off on the 5th of March 2015. Ticket sales opened a month ahead of the first flight which was moved forward from the 26th to the 5th of March 2015. They were in the planning phase for some time, encountering various setbacks throughout. When PAK Africa acquired Skywise's license in October last year, things started running according to plan. Default on payments to ACSA resulted in the airline's operations being suspended. They launched with flights between Cape Town and Joburg and hoped to add more routes! 26 April 2016: Skywise announced today that they will be selling a "sizeable stake" of the company. According to them six companies, two local, have expressed interest in acquiring a stake in the airline. Comair is most likely not one of the companies interested despite announcements last week that they are acquiring another company. It seems that Comair are more advanced in the process of acquiring the unknown company and it is unclear whether Skywise would add any value to Comair, as they cover a route that both British Airways and kulula already covers. Tabassum Qadir and J. Malik have stated that they are willing to let go of more than 50% of their shares to one of the local companies and that they are currently considering both offers. Due to the Air Services Licensing Act, no foreign investor can own more than 25% of the airline. 22 January 2016: The complaint that Skywise's lodged against ACSA has been denied by the Competition Commission. The Competition Commission decided not to refer the matter to the Competition Tribunal because they did not regard it a competion concern, but they gave Skywise the option to approach the Competion Tribunal directly within the next 20 days. Skywise has indicated that they plan to do so. Skywise lodged the complaint against ACSA last week with regards to the way their claims were treated by ACSA. "For us the matter is a competition concern, because in our view Acsa gave SAA more time to pay, but not for us,," Skywise co-chair Tabassum Qadir said. Skywise alleges that their grounding by ACSA has been "an abuse of dominance and a prohibited practice". Skywise is further also suing ACSA for damages and breach of contract. 10 December 2015: The Air Service Licensing Council held a hearing with Skywise which could have resulted in the airline losing their license. On the 10th of December the ASLC announced that Skywise may keep their license, but the airline is still grounded. They are in desperate need of funding and are still trying to accommodate stranded passengers on other airlines. As the school holidays are starting, many passengers are left stranded. 4 December 2015: Skywise is desperately trying to make arrangements for passengers who have been stranded due to the airline's suspension. They have offered SAA R1.1 mil, apparantly the amount paid by the stranded passengers, to transport passengers who were booked on the airline between the 4th and the 10th of December 2015. This follows Skywise's earlier appeal to the Government to force SAA to accommodate the stranded passengers as SAA was government funded. The current offer from Skywise was prompted by government's response in that SAA should consider helping for renumeration. It is unclear whether SAA will accept, but considering that it is peak season R1.1 won't cover SAA's fares. Skywise flight suspended, is this the end? 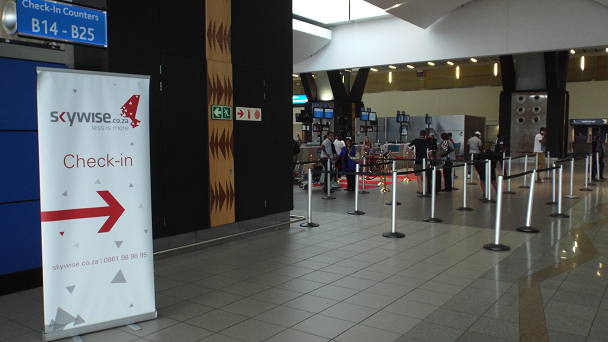 2 December 2015: All Skywise flights have been suspended indefinitely following ACSA's ban. The airline can no longer make use of theri airports as they failed to make installments on outstanding airport charges. The suspension will be withdrawn as soon as the outstanding payments have been made. The airline first requested an additional 48 hours to make the payment, but it wasn't granted. It would be interesting to see whether they can make the payment within 48 hours. In the meanwhile they have written an open letter to Jacob Zuma requesting funding, once again citing political problems. Skywise will also face a hearing on December 9 with the Air Services Licensing Council (ASLC) of South Africa. They have to explain the series of delays and cancellations over the last two months. They face further suspension and their operator's licence could be revoked. The airline's future looks bleak, with the possibility of them losing their air operators licence looming. Passengers are scrambling to get refunds, but the airline is not responding. Whether they manage to weather the storm or not, the airline will have to work very hard to gain the trust and respect of passengers. 10 November 2015: Skywise has once again had to refute reports that they are grounded following the abrubt cancellation and delays on most of their flights yesterday. Claims surfaced that they were in financial problems, but the airline stated that one of their aircrafts simply experienced some technical difficulties and that they were working on procuring a second aircraft to transport the affected passengers. "We are in the process of signing a new lease on a replacement aircraft from another lessor," Qadir said. In the meanwhile co-CEO Irfan Pardesi has left the company, citing that the "political drama was more Bollywood than Hollywood" among other difficulties that caused his exit. 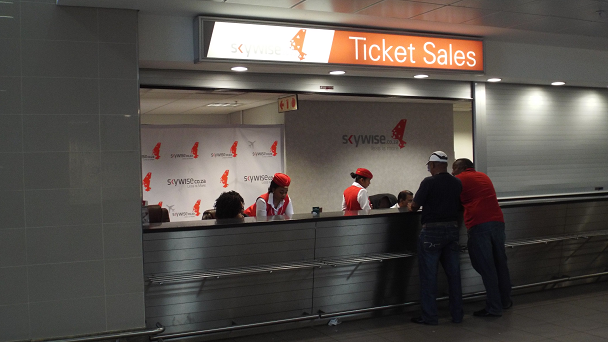 21 October 2015: Skywise announced yesterday that they are reducing their daily scheduled flights between Johannesburg and Cape Town from 8 to 6. They will accommodate passengers who have made bookings on the cancelled flights. This change will allow Skywise to better utelise their aircraft. “With this change, we will see a 50% increase in utilisation of our existing metal,” said Irfan Pardesi. 13 October 2015: Skywise has cancelled flights S8 101 and S8 102 on October 13, 2015. The airline is working on accomodating passengers on other airlines. The Chairman of Skywise will hold a press conference this afternoon to explain why the flights have been cancelled. The airline has rubbished claims that the airline has been grounded because of financial issues. 08 October 2015: Avis has partnered up with Skywise which will now enable customers to book flights and Avis vehicle through. Clients can book both service on directly through the car rental and flights tool on the Skywise website. 23 September 2015: Skywise Chairperson Tabassum Qadir announced yesterday that they are adding two B737-800's hopefully before the end of the year. They added that they'll be adding one or two every year from now and are looking into a potential B737 MAX order. 11 August 2015: Skywise CEO Johan Borstlap is being joined by Mr Irfan Pardesi as co-CEO. Mr Pardesi graduated from the London School of Economics and Political Science and has since demonstrated his business acumen, where he was responsible for the birth and escalation of some of the top performing firms in South Africa, the African continent and internationally. “I believe in consumer facing industries where the customer experience is what matters, I call myself the Customer Experience Officer” comments Mr. Pardesi. Introducing someone who has no experience in the airline industry into a top leadership role does not seem like a good idea. It waits to be seen what he will contribute to the company. 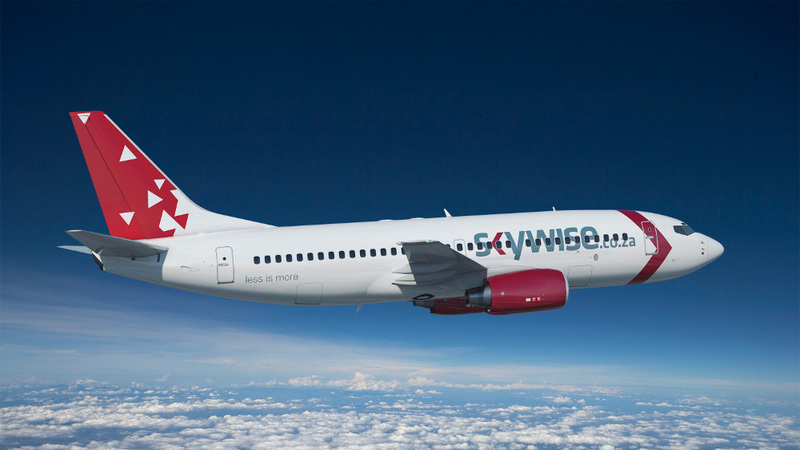 Skywise has announced that they will be expanding their routes next month. They are also adding a 23 year-old Boeing 737-500 to service the new route. We can't wait to see which route won! Exciting news! Skywise is looking to adding new routes to their network! And they are asking for your help! Head to their Facebook page to make sure you get your vote in! You can choose between Johannesburg-Durban, Cape Town - Durban, Johannesburg-PE, Johannesburg - East London, Johannesburg - George, Cape Town - East London and Cape Town-George. Six routes to choose from so choose wisely! Hopefully more routes will be added soon! Send in your route wishlist and we'll include it on our page. Slightly nervous about trying a new airline? Make sure you get travel insurance which protects you against airline bankruptcy and you have nothing to worry about! 2015-12-01 Rating 1/5 : "I had a terrible experience with Skywise Airlines which is still continuing even today. I had a booked flight for 11 October 2015. On arrival at the airport we were told flights were all cancelled for the day, but no reason was given. We were told to book with another airline and that we would be refunded. On request for a refund we were told it will take 21 days to process. On expiration of the 21 days we called again. We were told we must wait. No reason or explanation ever given. I started to complain on their Facebook page and was provided with the email of one John, a so called director who would intervene. He emailed me and confirmed in writing I would be refunded on that same day. It did not happen. I emailed him again where he said I will be refunded by the end if the week. No explanation. When I enquired he started ignoring me and up until today i have not received any reply from him again. In between I called numerous times, never got any straight answer as to when will I be paid or why the delay. When going back to the facebook page to enquire I found I had been blocked from the page, and all my posts simply deleted without a response. I saw most negative posts were simply deleted by other customers. And there were so many. I laid a complaint on Hello Peter as Skywise is listed as a company who responds. Still no response 10 days later. Still no refund either. When callig them on the last occasion it was suddenly mentioned that I will receive part of my refund in a voucher to fly with Skywise. I refused as obviously I will never fly with them again. I was told they would get back to me. Also 10 days ago, still no response or refund. 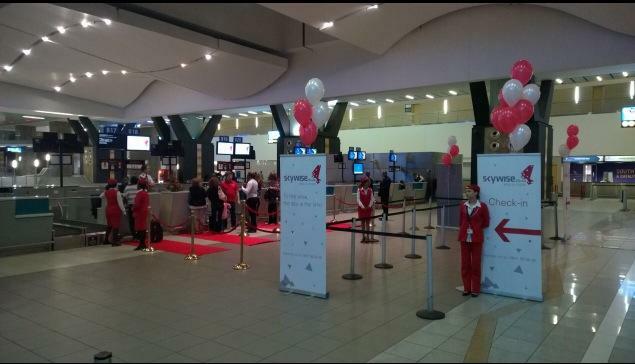 12 June 2015: After announcing on the 21st of May that they will be increasing their frequency between Cape Town and Johannesburg from 2 return flights a day to four, Skywise has now announced that they will be adding two additional return flights between the two cities in August. Currently the airline operates four daily return flights between Johannesburg and Cape Town with two aircraft. They have now acquired a new Boeing 737 which will see their fleet expand to three aircraft. The new schedule will come into effect in August 2015. Skywise's first official scheduled flight took off today, the 5th of March 2015. Their initial launch date was moved forward from the 26th of March due to the high demand for their cheap fares. The first flight took off from OR Tambo to Cape Town early in the morning. They have two daily flights out of Johannesburg and two daily flights out of Cape Town. The airline is the brainchild of 1time founders Rodney James (CEO of Skywise), Glenn Orsmond (was CEO of 1time), Michael Kaminski (was head of IT at 1time); and Johan Bortslap (who was Sun Air's Managing Director). More recently Wayne Duvenhage (previous head of Avis South Africa) has joined as Commercial Director. 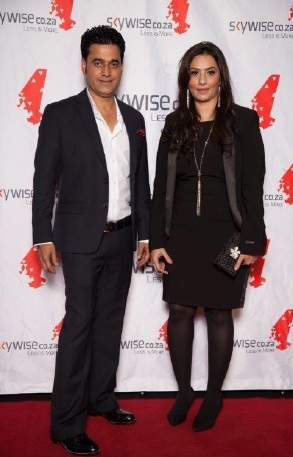 Yusuf Saloojee was recently named as Pak Africa's Chairman(Pak Africa ownes Skywise). Mr. Irfan Pardesi joined the team as Co-CEO with Mr Borstlap in August 2015. The airline will not be charging extra for checked luggage. 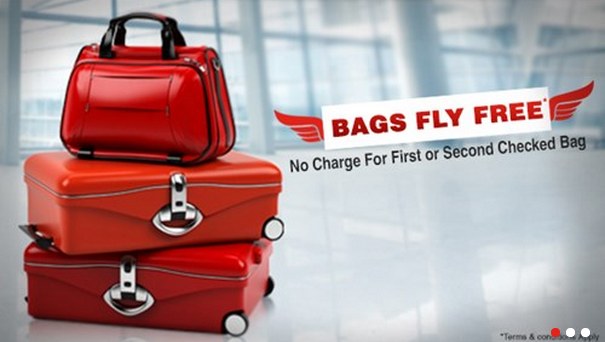 All prices will include one checked bag which can weigh up to 20kg. Looking to further your career as pilot or cabin crew with Skywise? Send you CV through to recruitment@skywise.co.za. Best of luck! The airline is looking for a Financial Manager and IT Network and User Support Manager. The IT Manager will "be responsible for the management, maintenance, and development of ICT software and the provision of technical advice and support for all ICT related activities." The Financial Manager will have to "ensure proper efficient and effective management of the airline finances and its contribution to the achievement of the airline mission and strategic objective." Both positions require a minimum of 2 years relevant experience and a relevant diploma or degree. If you are interested in applying for one of the two positions please email your cover letter and CV to recruitment@skywise.co.za. Please state the position you are applying for in the subject line. Go to the Skywise careers page for more info. Closing date for applications will be 24th May, 2015. 7 August 2015: Women's Day Added Flights. Skywise are celebrating the long weekend by adding one extra flight between Johannesburg and Cape Town this Friday and Monday. The Friday flight depart Johannesburg at 14h55 and the Monday flight leaves Cape Town at 15h30. “Seat demand is high going into Women’s Day weekend. The added flight should enhance travel for many passengers seeking for an experience combining low-cost fares with several extras at no charge,” commented joint chairs J. Malik and Tabassum Qadir. 21 May 2015 Skywise has added an additional aircraft to their fleet, which will see the number of daily scheduled flights that they operate double. Currently the airline operates 2 daily return flights between Johannesburg and Cape Town with one aircraft. With the help of their new aircraft they will be doubling their number of daily return flights between JNB and CPT to 4. The new schedule is set to come into effect from the 11th of June 2015. The new schedule will see them operating flights from as early as 6am to as late as 8pm. Tabassum Qadir and J. Malik, Co-Chairs of Skywise said; “We are very excited about the increase in fleet size and daily flights. Skywise is witnessing fast growth and hope to maintain the trend into the future”. Exciting times ahead for Skywise and the South African aviation industry. 11 May 2015 Skywise has called for a round table discussion between the airline industry and the Minister of Tourism, Derick Hanekom. The airline wants to discuss what they call the "distortion" of ticket prices by the national carrier. They want to discuss how private airlines can service the domestic market that they believe SAA is struggling to service. They also want to talk about the concerns they have with the “politics” that they experience on a daily basis when dealing with government institutions. 10 April 2015 Co Chairman’s of Skywise, Tabassum Qadir and Javed Malik revealed some interesting information on the future of Skywise during an interview on Power FM with Victor Kgomoeswana. 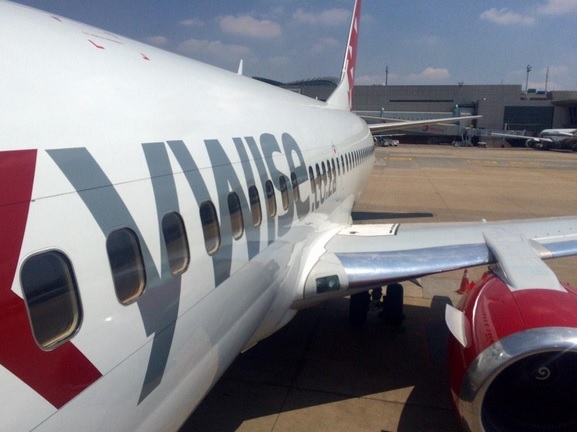 Skywise has reportedly made an offer for state owned airline SA Express. Skywise wants to own a majority stake in SA Express, and they believe now is the right time to privatise the airline. Qadir warned SA Express not to take too long to make a decision on their offer. Qadir said that SA Express’ routes and good infrastructure is the reason why they decided to put an offer in for a majority stake in the airline. They believe that with the right resources and a new fleet, SA Express can be turned into a competitive and profitable airline. Host Kgomoeswana asked Malik why they didn’t consider operating on SA Express’ routes under the Skywise brand, Malik replied that it is better to get hold of a readymade product like SA Express rather than starting up from scratch. The future of Skywise lies in mergers and acquisitions, and they see themselves buying up and merging with many other airlines in Southern Africa in the future. Qadir also said that they are at a disadvantage when it comes to ticket sales and check in counters at OR Tambo. 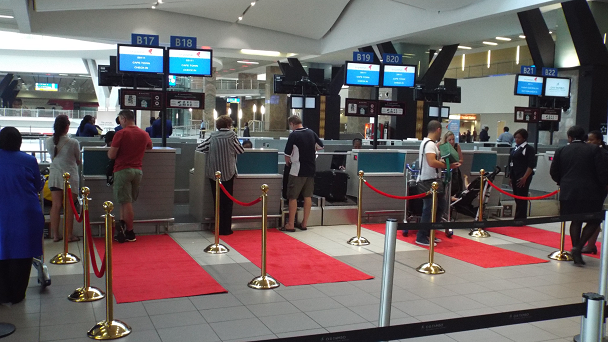 Skywise was given check in counters between international airlines while Kulula, Mango and FlySafair have desks between other domestic airlines, and they are close to the domestic check in gates. Other domestic airlines also have sales desks right next to the domestic check in gates, on the right hand side of Terminal B, while Skywise’s counter is on the opposite side of the Terminal across from Singapore Airlines’ sales desk. They believe that they have a right to have the same advantages as other domestic airlines, and they are currently fighting for that right. 9 March 2015 PAK Africa’s CEO and co-chairperson of Skywise, Tabassum Qadir, said that according to their research 4 million people travel between Joburg and Cape Town annually. She said that the existing airlines are able to carry a total of 3.5 million people annually. They will be focusing on reaching and flying the ‘additional’ 500 000 passengers. The airline is currently operating 14 return flights a week between JNB (OR Tambo) and CPT. At full capacity they can carry approximately 15 000 passengers weekly. 16 February 2015 Skywise has moved their launch date forward from the 26th to the 5th of March 2015. The airline has said that they have been experiencing higher than expected demand from the public which is why they have decided to move the launch date forward. 3 February 2015 Skywise tickets are set to go on sale in a week or two and we thought that we will give you some more information on the airline. 1) The airline is planning to start selling tickets by the middle of Feb. 2) The first flight will reportedly be taking off on the 16th of March 2015. 3) You will not have to pay extra to check in a bag. 4) They will be selling snacks and drinks on the plane like Kulula, FlySafair and Mango. 5) The airline will be flying between OR Tambo and Cape Town only at first. 6) They will start with 5 return flights a day. 7) The airline will be using two B737-300 aircraft. Hopefully they will be releasing some prices soon so we can start comparing them with South Africa's other Low Cost Carriers. 26 January 2015 The former SA ambassador Yusuf Saloojee has been named as the Chairman of Pak Africa Aviation. Pak Africa Aviation is planning to launch their flights in February under the name Skywise. Saloojee, who was the previous ambassador to Iran, is a man surrounded by controversy. He was suspended from his ambassadorial post in 2012 following reports of corruption. Saloojee was at the centre of a corruption scandal where cellular giants Turkcell accused MTN of bribing officals in Iran to secure a deal. Saloojee was one of these officials who was reportedly bribed by MTN to secure the R57.6 billion deal. Saloojee received around $200 000 from MTN’s Iranian CEO, Chris Kilowan, as a bribe for helping in securing the deal for MTN. He used the money to buy his wife a house in Sandton. Saloojee also received a cell phone to the value of R5000. The government has opened an internal case against Saloojee which is still ongoing. The deputy chairman of Pak Africa, Mr. Sain Malik defended their decision of appointing Saloojee as the Chairman by say that his past is irrelevant. “It is like being married, would we be interested in whether he is married?”, said Malik after being asked if Soloojee’s corruption allegations were taken into consideration when he was appointed. Pak Africa has interests in the property and textile industries in Africa, with offices in Nigeria, Zimbabwe and South Africa. Malik said that the owners of Pak Africa are high net worth people from Africa and the Middle East. It has emerged that the Mandela family is one of the company's South African stakeholders. One of Nelson Mandela’s grandsons, Zinhle Dlamini, is a director of Pak Africa. The airline will be flying matriculants adopted by The Mandela Foundation on their inaugural flight. Pak Africa merged with flunked airline 1time, and spent almost R22million on buying Global Aviation Operations, which had the valid airline operator’s licence which Pak Africa needed for Skywise. The company does comply with local regulations which state that an airline that operates domestically in SA must have 75% local ownership. 80% of the airline is owned by South Africans which includes the Mandela Family while 20% is owned by Pak Africa CEO Tabassum Qadir. 15 December 2014 Skywise's maiden voyage is scheduled to take off on the 11th of February from Johannesburg to Cape Town, their first route. Ticket will also go on sale from the 11th of February 2015. They hope to add more routes in the future. In the meanwhile you can check out their website, which is clearly still under construction, to get an idea of what they might offer and their new image. 12 December 2014 Skywise is planning to launch flights in February 2015. The airline will operate under 1Time holdings which Pak Africa is in the process of buying. Skywise will operate flights with 1 Boeing B737-300 and 2 Airbus A320s. There has not been any announcement from the airline regarding which routes the airline might start up on. They have however announced that they are planning on adding regional flights at the end of 2015 after they get the ball rolling with their domestic flights. The airline will follow the same model as FlySafair of charging for all the extras but in doing so they will be able to provide customers with lower basic rates. 29 October 2014 Pak Africa has just bought the air service licence of Skywise and they are planning to launch regional flights through Skywise in the first quarter of 2015. PAK Africa is also in the process of acquiring bankrupt airline 1Time. Skywise will most probably only start operating on the CPT - JNB route at first before expanding their operations to more destinations across South Africa. 21 August 2014 Despite experiencing major setbacks and delays, Skywise is still planning to operate on the JNB – CPT route in the near future. The airline's Air Service Licence was cancelled earlier this year because they failed to launch flights within one year after the licence was issued. Skywise successfully challenged the Department of Transport’s decision to cancel their licence, obtaining a court order calling for the licence to be reinstated. Their licence has subsequently been reinstated by the Transport department. 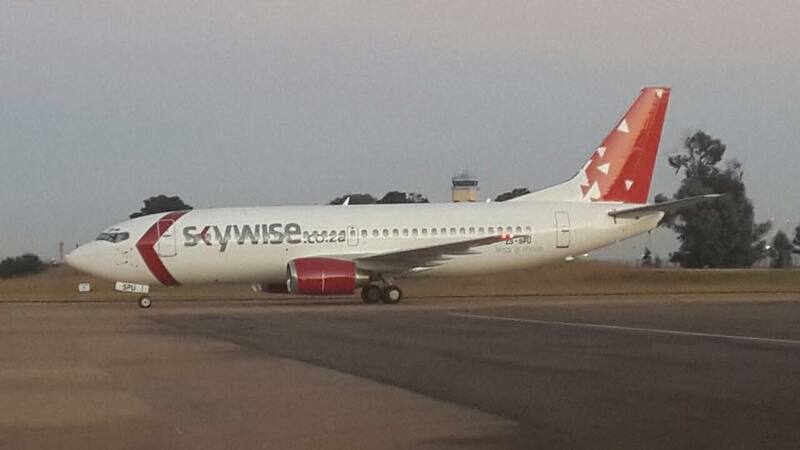 Skywise said that they are in the final process of launching their airline, only a few issues need to be ironed out. With FlySafair launching in October and Skywise looking to launch in the near future the skies above SA are going to get crowded. Will the market be able to accommodate two more airlines? We’ll have to wait and see. 20 April 2014 Rodney James says that Skywise are "waiting for a legal opinion" (presumably on the ASLC decision not to renew their licence) and are "considering a plan B" - could this possibly involve piggy-backing off somebody else's licence? 15 April 2014 Rodney James, the CE of Skywise, describes the decision by the ASLC not to renew their licence as a "major setback" and "unreasonable". However, the ASLC's Andries Ntjane (who is in charge of Licencing) said that Skywise should have contacted the ASLC month ago if they foresaw an issue with getting their SA CAA AOC (Air Operator Certificate). 7 April 2014 It's reported that South Africa's DoT (Department of Transport) have cancelled Skywise Airline's Air Service Licence, which was valid for a year. Skywise had applied for an extension of the 1 year validity, but this was turned down by the ASLC (Air Service Licensing Council). Skywise was in the process of obtaining an AoC (Air Operator Certificate) from the CAA (Civil Aviation Authority). The facts are still emerging, and it's still too early to judge how fair this decision is. However, the ASLC could not have been happy about Skywise's decision in 2013 to take it to court regarding its decision to grant FlySafair a licence. 24 Nov 2013 “They are wholly owned and a controlled subsidiary of an Irish company. It’s interesting how they can change their shareholding overnight to try and satisfy the legal requirements of domestic air service ownership and control." Rodney James commenting on FlySafair's restructuring of its shareholding. 13 Sep 2013 Skywise founders, together with Comair, launch a high court application against FlySafair's licence, claiming that they do not meet the 75% local ownership requirement. 12 Sep 2013 Garage East reports that Skywise are set to launch in October 2013. 17 May 2013. Rodney James interviewed by the SABC (starts 47 seconds into the clip): "There's huge demand at the moment. If you just look at ticket prices at the moment, they've increased by 40 or 50% over the last 5 or 6 months. And the market has shrunk. So we need to bring some stiff competition in. Bring those airfares down by probably up to 25% and then grow the market again". 7 April 2013. Wayne Duvenhage, former Avis CEO, is interviewed about Skywise on 567 Cape Talk, by Kieno Kammies: "Conventional airlines do struggle, but low cost airlines around the world are very successful, and this is what we intend to do here, is to run a true low cost model. We've had a good luck at the business plan, and I can assure you that we do not intend to enter a business that is going to fail. We're very confident of the business plan, and we're running the B7370-300s which are far more fuel efficient than the 1time. And we have a very strong team to run the business as a low cost producer with high service standards and be very successful. There aren't enough planes, there aren't enough seats, and that's why prices are where they are. We will guarantee that if you take the screenshots right now of prices and if you see what happens to prices when we enter the market they will drop. People are making hay whilst the sun shines. There are 3 airlines that have left the market recently - Nationwide, Velvet Sky and 1time. So there's a big gap. We have been planning this for almost a year now, since May last year - Rodney & Glenn & Mike have dusted off their old plans and punched in the right information on new plans, and it's very very viable, and sustainable. And what we are doing this time round and the banks are ensuring it, is we're only being paid on flown, so people's money is protected and we've done our model on that cash flow basis, as opposed to the past where airlines are operating on money collected but not yet flown, and that's a dangerous place to be. And we are not going to do that. Our money that is collected for flights 2, 3 months in advance is not released to us. And so people's funds are safe. This is not going to be one of those airlines which goes under and nobody gets paid. We don't intend to go under though, and that's how we built the model. So there's a guarantee there. And we have to ensure that our cashflow model works right". 4 March 2013. The Air Services Licensing Council grants Skywise an air service license. The next step is to get an air operator certificate from the CAA (Civil Aviation Authority). 5 December 2012. Ex 1time employees march to protest the possible granting of an airline operating license to 1time founders: "This, in turn, will put more employees at risk as well as the tens of thousands of people who would invest in their company as it would be listed on the stock exchange. We request that the parties that founded 1time Airline not be granted a licence as they have failed dismally to successfully run 1time Airline and have displayed a blatant disregard for the public who trusted in their product, as well as the employees who were all very heavily invested in the airline." In response Mr. Rodney James said: "We are extremely saddened by the demise of 1time and the subsequent loss of jobs. The unsubstantiated allegations made by so called staff is nothing more than an effort by Mtha Aviation, part of 1time’s controlling BEE shareholder, to rally support from a handful of former employees to publicly discredit the founders. We started 1time eight years ago and safely carried 10-million passengers, introducing true low-cost airfares into the domestic market, were the fastest growing airline and won the most awards for service excellence. Against difficult odds we built up a billion-rand-a-year company and earned profits in six of the seven years we ran the group. Most importantly, we created 1200 direct jobs and probably a similar number of indirect jobs. We are extremely proud of our record during our time at 1time. It is interesting to note that the founding members lost both shareholder and board control more than two years ago and were subsequently purged from the executive team by the controlling BEE shareholder, due to disagreements with strategy and certain corporate governance issues, leaving no airline experience whatsoever on the 1time board.We are extremely excited, however, to announce that we expect Skywise, our new and exciting low-cost airline, to be issued its air service license shortly. We plan to launch in the first quarter of 2013 and look forward to creating much needed jobs and providing strong competition, growing the air travel market." 28 November 2012. Glenn Orsmond is quoted as saying: "We have identified an opportunity in the market for a low-fares airline. Air fares are very high again; there has been a dramatic increase in fares. I am confident of our ability to run an airline (in these conditions). It is a great business and there are a few things that we can do differently from the other airlines. When we started 1time there was an opportunity for low-cost flights and for six out of seven years we reported a profit. It is a pity 1time is not around any more. All the airlines have really high costs. Comair is bringing in a new fleet that is going to cost billions and they will need to fund that debt and that will put pressure on their ticket prices. We have seen SAA’s problems and 1time also has high costs. I am not sure if 1time will emerge from provisional liquidation,"
5 October 2012. Rodney James, the previous Chief Executive Officer of 1time, applies for a license to start a low cost carrier. He's applying through Cobolar (Pty) Ltd, which had its application considered on the 5th October 2012 (although it's believed that a different operating name will be chosen). Skywise have decided to brand with minimalism ("less is more"), both to contrast themselves against Mango & Kulula Airlines (who have bright greens and oranges) & to keep costs down. Keeping with the minimalism theme Skywise also aims to offer less (presumably flights & not much else), to also contrast with Kulula and Mango who offer car hire, loyalty membership, different classes of travel (Mango Flex, Mango Plus), etc... (Ed: this remains of 1time in its initial days, which also aimed to keep things simple - e.g. all inclusive pricing when others when quoting fares excluding airport taxes). Garage East, who did Skywise's design, were inspired by the Swiss, who they belive do minimalist design very well. The Skywise logo is based on an adjusted Klavika font, with blue used becuse it's a "calming effect" in the space Skywise occupies amongst its competitors, and also because of the fact that the Sky, the first syllable in Skywise's name, is blue during the day. Initially 2 Boeing 737-300s (lease purchase, it's not clear at this stage from whom - deposits have already been paid). “We believe the B737-300 is the wise choice for the South African low yielding market, with an affordable capital cost and very good fuel efficiency.” said Rodney James. Later, it is planned to add another 2 planes to service Durban, East London & PE. Here's how they plan on painting the planes - "high contrast lines" are being used to keep things simple whilst at the same time giving a "sharp image" - a minimalist design means that the time and cost of painting the planes is less (in line with a low cost carrier ethos which wnats less maintenance downtime and lower costs so it can provide cheap flights). The advertising too will contrast Skywise with its competitors, where on the one side it shows an advert urging passsengers to rate them on Tripadvisor, use 3G on flight, book a hotel & get 20% off, provide travel insurance, win a flight voucher, etc... whilst on the right hand side it says "Sometimes All You Need is a Flight". Skywise have set up a mobile phone application, and its interface also focusses on simplicity. The application will add reminders & a schedule to the phone of the passenger (Ed: this is great, we recently had a Nigerian couchsurfer at our house, and one of the comments she made was that she thought the airlines in South Africa could do better with giving flight reminders). External investors, including a Dubai-based aviation company and a BEE investor. FlySafair, a low cost carrier by Safair started up in 2014. First with flights from OR Tambo to Cape Town soon adding Georgeand Port Elizabeth flights. Pak Africa Aviation wanted to purchase 1time Holdings and use their brand to fly regional flights in Africa., but instead they bought Skywise's license. Fastjet is still keen on starting South African flights. They are currently connecting OR Tambo with Dar es Salaam and Zanzibar. Global Airways quietly launched chartered domestic and regional flights last year. They are definitely flying under the radar!